I love getting my hands on yarns that are sustainable and have a story. However, this is sort of a different review since I'd like to talk about the yarn and the pattern. So, first off, I'd like to encourage you to hop over to Ravelry and join the Deb Newton KAL which is going to continue through the month of January. Any of the patterns in the collection can be worked up for this KAL and the stand alone patterns are available on Ravelry also. The kits are available through Imperial Yarn and can be found HERE. I mentioned recently that I felt single-ply yarns are queued up to return to the top. When I received this kit from Imperial Yarn, that airy soft single-ply was the first thing my eyes landed on. Inside the box I also found a small brochure with information about the ranch, an adorable pin declaring "I'm an Imperial Yarn Girl", and a sweet hand-written note. I was also happy to have a reason to pull out some larger needles. The start of the new year - after the holiday knitting is wrapped up - is a great time for some quick, selfish knitting to remind us that knitting isn't just a labor - a chore - another item to be ticked - but also a pleasureable and meditative practice that produces something both beautiful and useful. I decided to knit the Large for review purposes - I don't actually wear a hat that big normally, but I wanted to show you gorgeous people how much yarn remains... and it's a generous amount as you can see from the picture (above right). You may also want to note that this scrumptious, soft yarn is called Tempest and is available solely for these kits! I'd ask who wore it better, but I'm no dummy - my niece, Addison has me beat! Knitting was fast, easy, and relaxing. The yarn, even though it's single-ply, wasn't particularly splitty (which is maddening!) so I could sit back and enjoy the process. 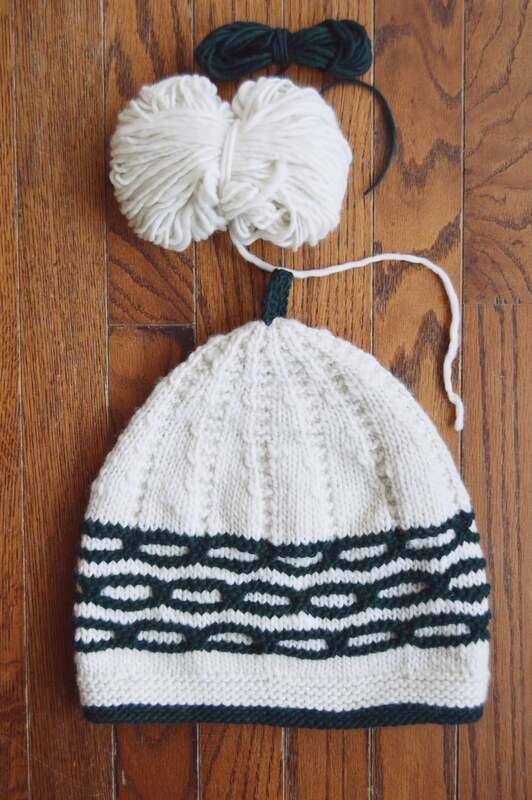 I love a good slip stitch pattern and I feel like this hat is a great project for folks of pretty much all skill levels - though I'd recommend keeping a tally for decreases if you're not a proficient knitter. The decreases are not what you'd typically see and are far more shallow than you may be used to. Had I worked on the piece regularly, I would have had it wrapped up in a weekend. In fact, I got most of the work done while sitting on the floor in my kitchen while my dad re-worked my plumbing and installed my new garbage disposal. Ha! 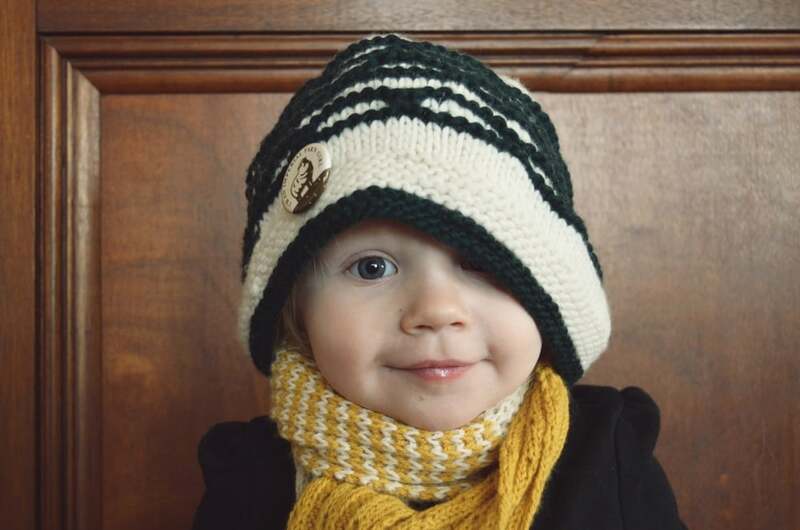 Obviously, the hat knit up nicely with plenty of yarn left over. I blocked it as I do with all of my hats - washed gently and left to dry on a styrofoam ball form. It is warm, cozy, and perfect for this wintery time of year when all the world is wet and dark, and there is a bite in the air. Now, before I wrap things up, I'd like to mention a few things about the company, Imperial Yarn. The wool is harvested once yearly and processed carefully without any chemicals or extreme temperatures. The colors they select for the yarns are plucked right from the landscape which I think is so pure and authentic. 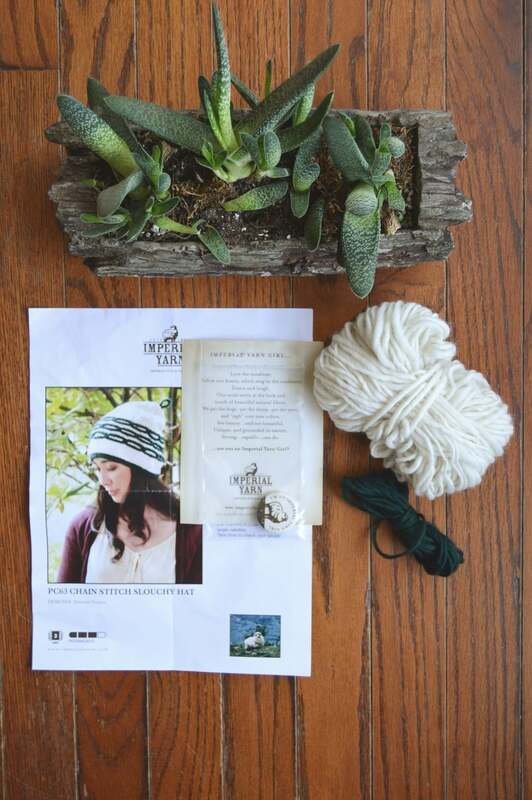 HERE is a link to more information about their yarn, their process, and their mission. You can find more information about the beautiful Imperial Stock Ranch located inOregon HERE.